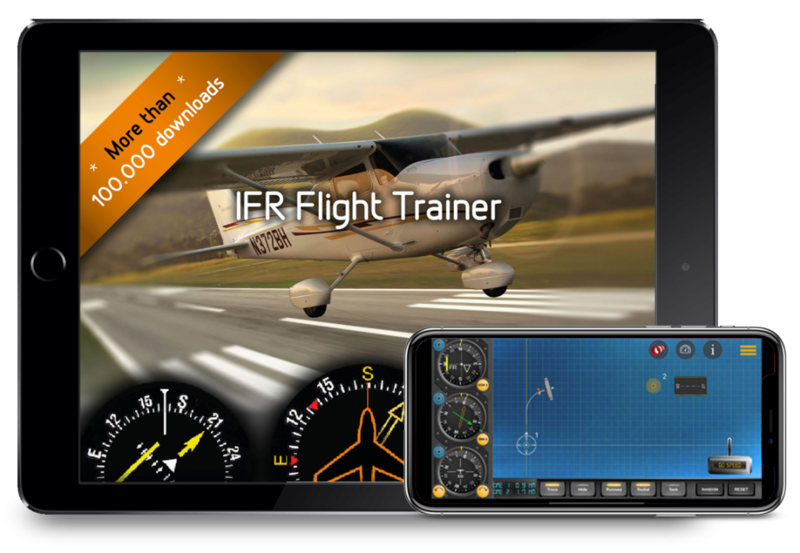 IFR Flight Trainer Simulator app for iPhone, iPad | FlyGo-Aviation Ltd.
With IFR Flight Trainer Simulator, you are two taps away from practicing holding patterns, radial interceptions, DME arcs, or two needle tracking in real time wherever you are. 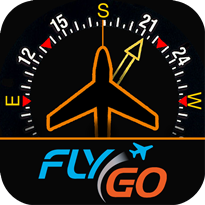 Use the cockpit mode to orientate or use the map mode to check you progress with IFR Flight Trainer Simulator. 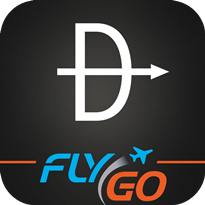 If needed, the aircraft can be easily moved to a new position by drag and drop to practice instrument approach procedure particular from a different position. 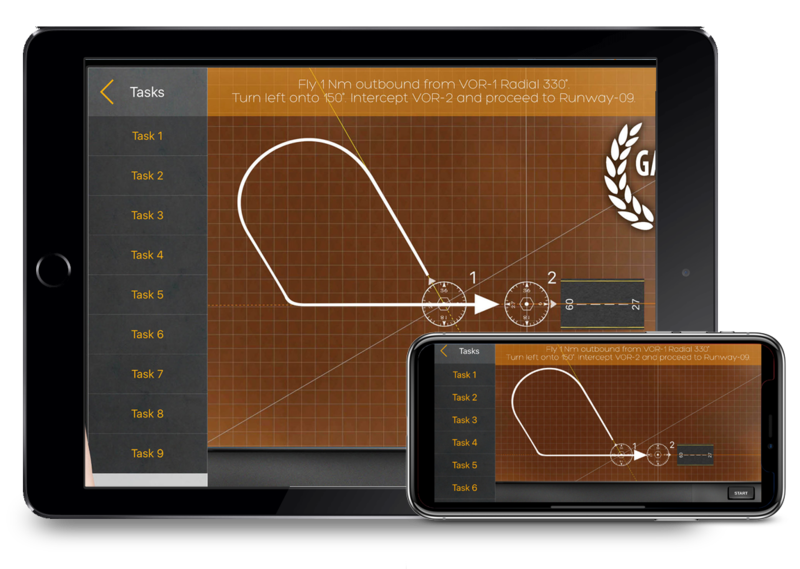 IFR Flight Trainer Simulator will help you a lot to learn how to track a radial, how to intercept a radial outbound, inbound, how to fly a DME arc, and so on. It is a great way for avionics student to prepare and get to know the navigation procedure inside out! 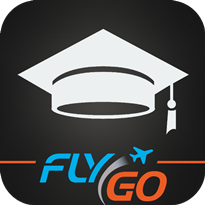 If you are a pilot student start off with no wind to get comfortable with it, and increase the difficulty level later on by adding more. 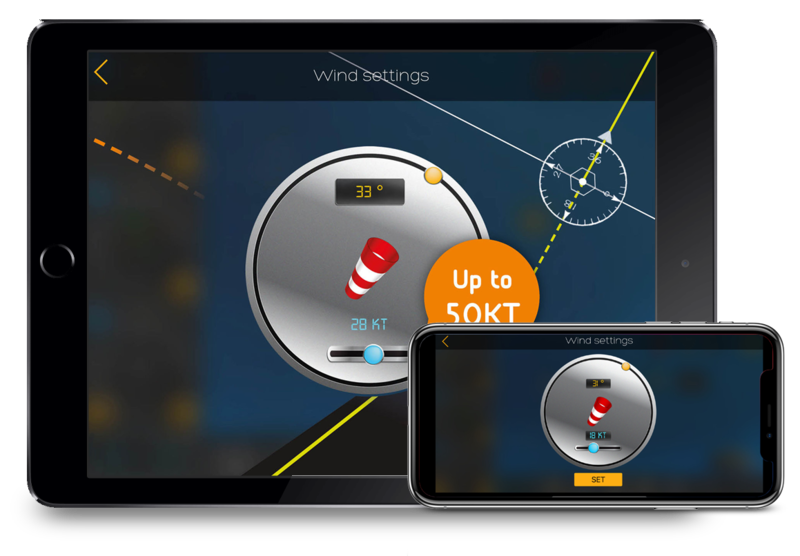 The wind is displayed on separate screen – to add a challenge, the displayed wind can also be hidden. IFR Flight Trainer Simulator offers a flexible flight training environment to create any conditions of instrument flying. If you would like to check your IFR flying approach, look at one of the IFR Flight Trainer Simulator’s in-built tasks. I use it every week. I really like that you have two views, the plan view and the inside view. Love using IFR simlator for preparing the examination. The interface is very userfriendly and the features are really useful. Very good simulator for learning pilots, I especially like that you implemented the radial tracking or flying DME arc. 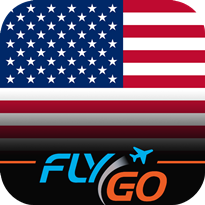 This app has an awsome flight modelling, it definitely worth to download. 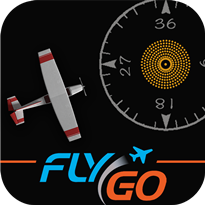 Got this app as an old hand pilot. I was surprised that I can use my smart phone as a simulator. When I was studying aviation, we did not have such possibilities. 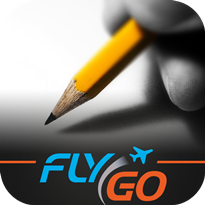 Hey, greenhorn pilots reading my review, let’s download it and keep practicing. 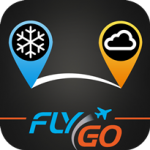 Wonderful flight siulator game with real time experience. Its is worth a try for new people. Unlock all functions at half price after 3 minutes of download. 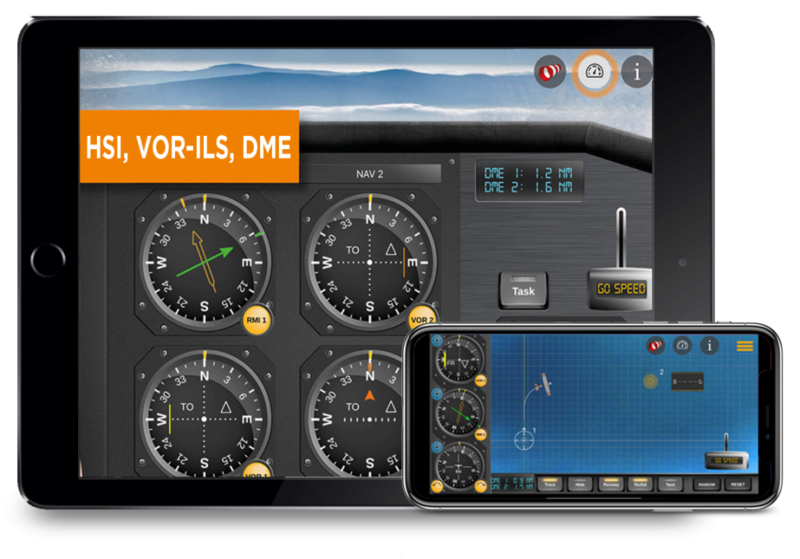 With IFR Flight Trainer, you are two taps away from practicing holding patterns, radial interceptions, DME arcs, or two needle tracking in real time wherever you are.